Founded in 1921, The Lyric is the oldest magazine in North America in continuous publication devoted to traditional poetry. Poet John Richard Moreland, sponsored by the Norfolk Poets’ Club in Virginia, typed out the first issue, featuring, in the first year, poems by Aline Kilmer and Emily Dickinson. For fifteen cents a copy, or $1.50/year, readers found poems by Walter de la Mare, Robert Hillyer, Henry Bellamann and Gamaliel Bradford along with other accomplished poets. 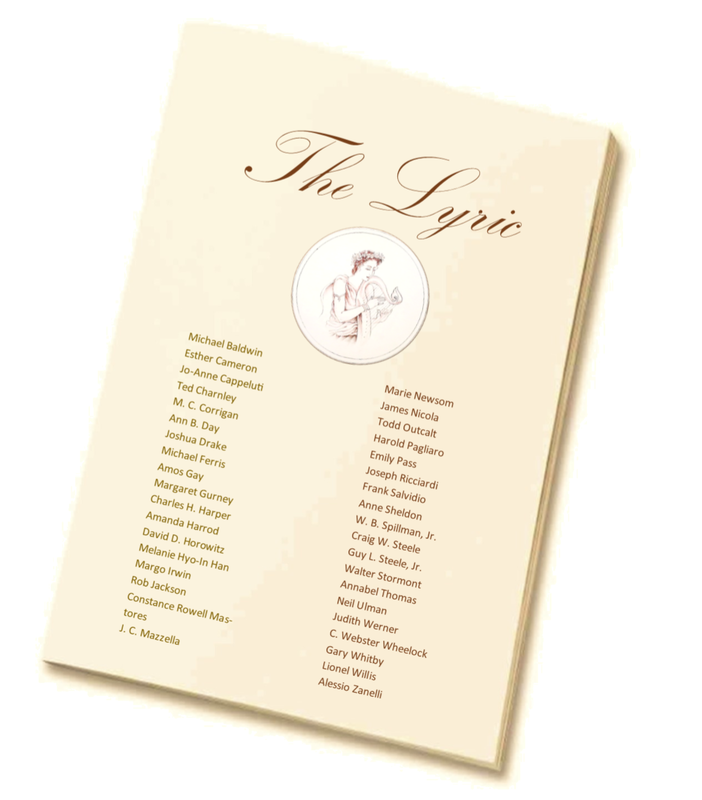 From its very beginnings, The Lyric has encouraged and published new poets alongside established poets. There is truly a resurgence of appreciation for the beauty and discipline of form in poetry, and we look forward with anticipation to more wonderful lyric poetry crossing our desks and appearing in our pages.